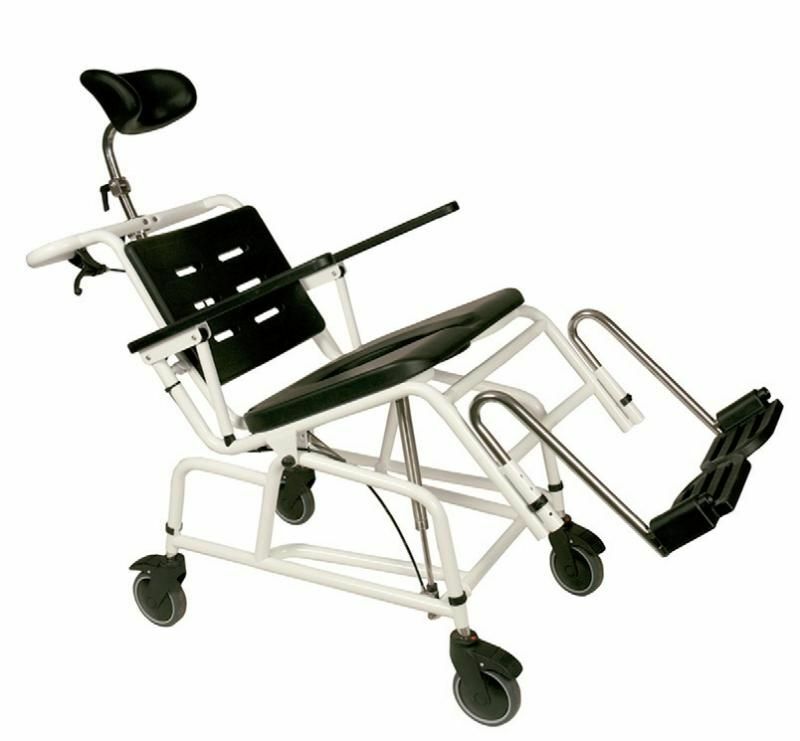 A combination shower chair and commode with a tilt-in-space function for pressure management, security, and comfort, this product is height-adjustable (great for user comfort and safety and a tremendous help to carers too) and can also be used for patient transport. It's highly versatile and very well designed. The tilt angle varies from 25 degrees backwards to 5 degrees forwards. 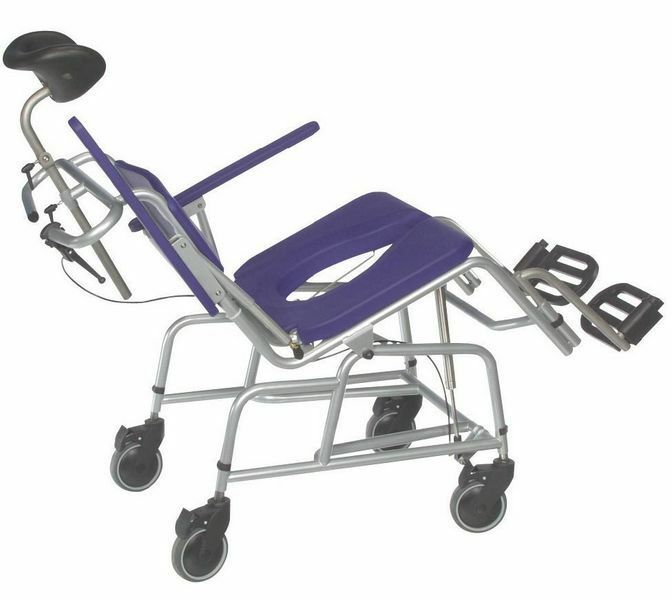 The forward tilt is intended to make the transfer into and out of the commode shower chair easier. It is intended to ensure smooth working with a patient hoist, or the armrests can be moved to allow straightforward transfer to the side. 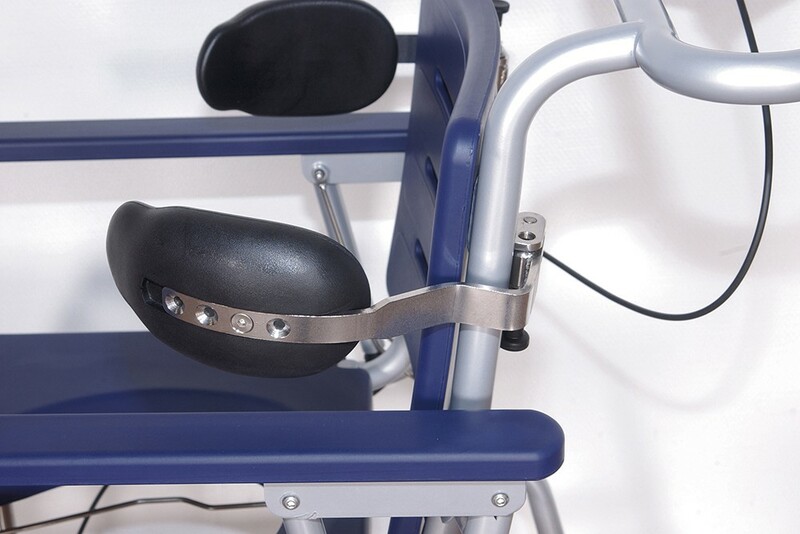 This product comes with an ergonomic neck rest which can be adjusted in height or in angle, and a comfortable footrest. 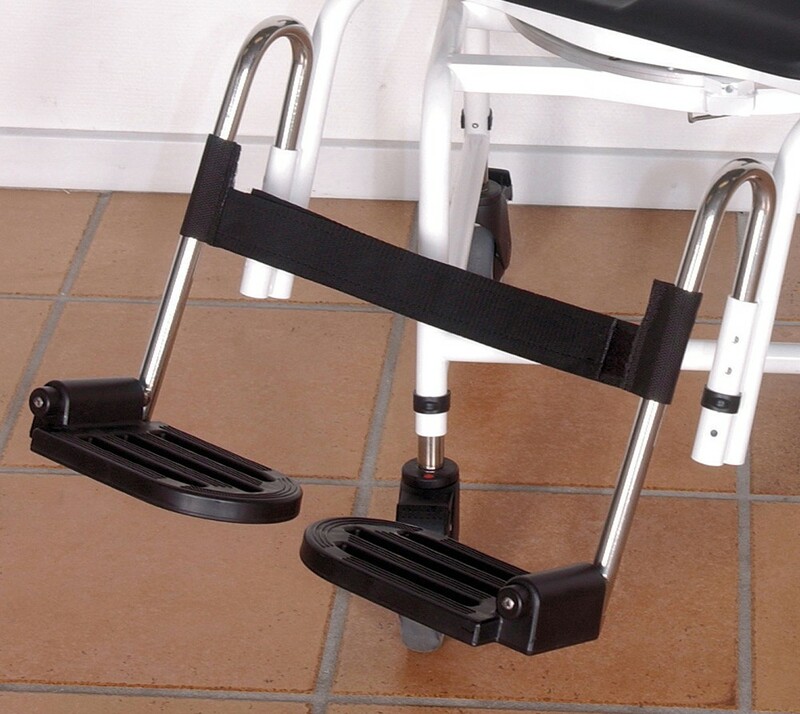 The polyurethane material will stand up to water temperatures up to 70°C for easy cleaning, and most parts are detachable. 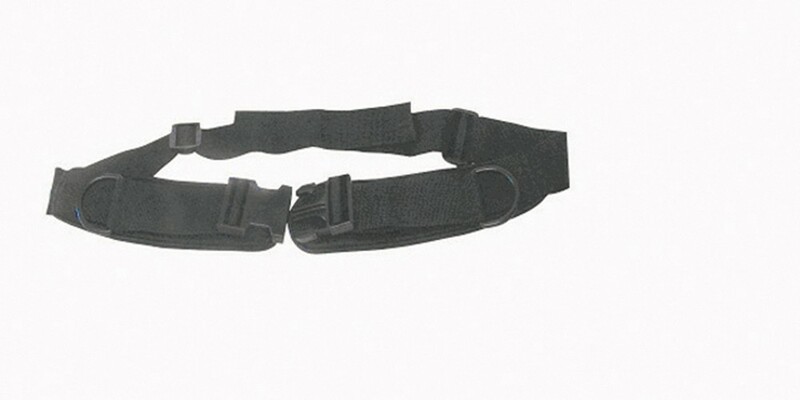 Lateral Body Supports - The lateral supports provides further side support, left and right options available. 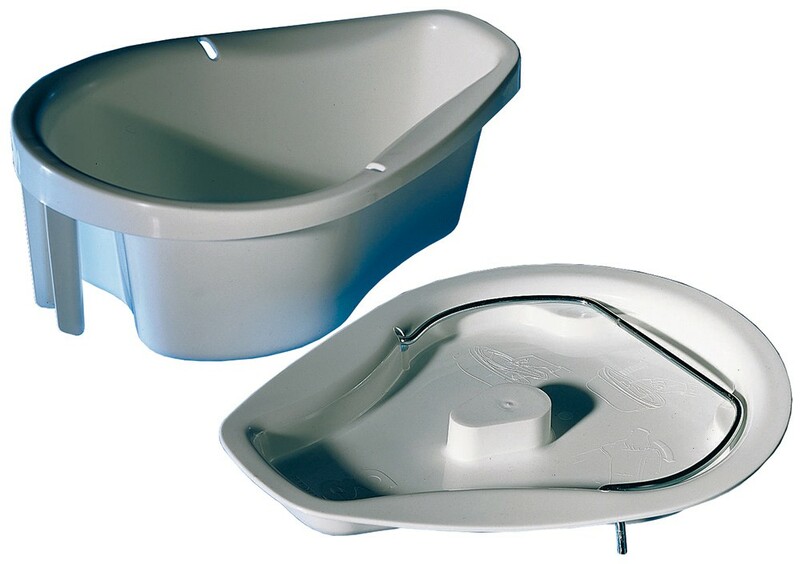 Potty with Lid - Converts the Combi shower chair into a commode.